Take on a fundraising challenge of a lifetime and change the lives of patients with neurological conditions in Sheffield! This five day trek will provide you with an unforgettable, once in a lifetime experience as you take in the mesmerising landscapes and golden sand dunes before camping under the star-scattered sky each night. 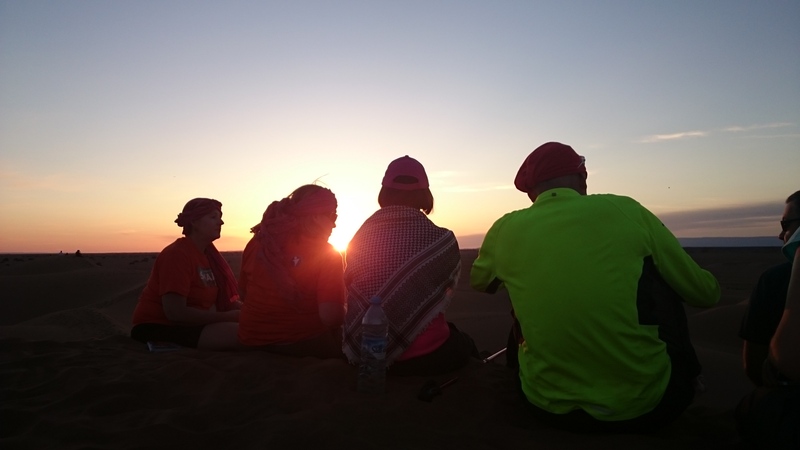 It provides a beautiful backdrop where you will step out of your comfort zone, enjoy delicious traditional Moroccan food and make friends for life around the camp fire – all while you’re supporting Sheffield’s hospitals! Difficulty: Rated as difficulty 3 out of 5 (1 moderate – 5 extreme). People of all ages, abilities and walks of life take part in this trek. It is perfect for the intrepid explorer! The terrain can be tough and undulating so training is required. A training guide will be made available once you have signed up.